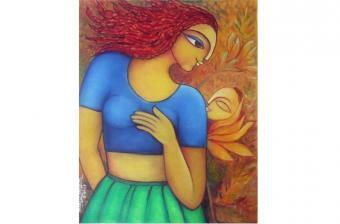 She handled various forms of art like fabric painting, glass painting and now focused on oil painting on canvas. Her paintings are based on the subject of ' figurative abstract'. She received informal guidance from Mr Rajendra Dixit. 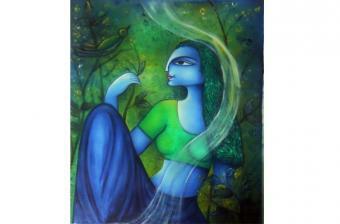 Her paintings speak for a beautiful journey called life. Madhuri depicts the elements of the nature which brings a smile to human face. The paintings express happiness which emerges from the closely woven relation of human life and nature. Madhuri goes further in depth to portray the mysteries of human emotion attached to nature. Each painting engraves the thought that life may bestow upon us all shades of light and dark, the glow in our eyes to look at life with immense love. Her interest in humanity and nature reflects in colours as well as in her poetry. All art forms compliment each other. Her philosophy of 'new ray of hope' entering our life each day is also expressed in her poetry. 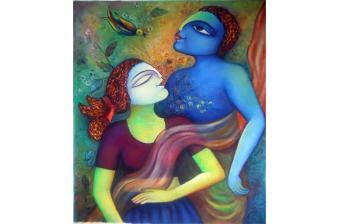 Recently www.gayawalmadhuri.com, her painting website is launched. which gives a rich and colourful experience of expression.